Welcome to JuJu Bee's A Very Merry Blog Hop & Crop! This is your first stop. We are celebrating our 2nd Anniversary and this Festive time of year and invite you to join us in a journey Buzzin' through the DT's blogs. 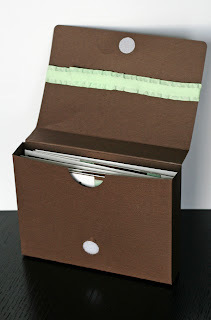 First off I would like to show you a few projects the DT Bee's have been working on just for this Blog Hop & Crop. They used all past kits, yep that's right, we are still playing with our past kits! That's because they are loaded with tons of Awesome products!! Take a look at this Amazing LO that DT Coordinator and Sketch Artist Trisha created using one of her very own sketches! Isn't it just BEEutiful?! Our DT Bee Jamie created this gorgeous card holder. It's such a wonderful idea...especially this time of year when we all know we have oodles of cards! Why not put them in something as pretty as this? She even made the inside BEEutiful! Wow, she made her own cards to go in this holder. Now that's one fantastic gift idea. 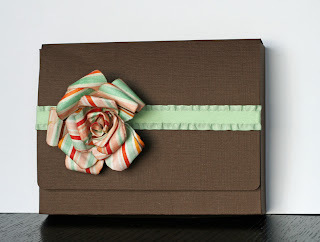 I know I would love to recieve a pretty little card holder filled with these fabulous cards she crafted. DT Bee Kristin comes at us with another awesome gift idea - custom frames! Isn't this just adorable?! This girl has a knack for altering!! Why not create those special people in your life a card? They are fast, easy, and so much fun...to give and recieve! I hope you have gotten a few ideas for creating those last minute gifts! For more ideas, fun challenges, games, and prizes please join us in the FORUM for our Online Crop. There is so much going on and we are always looking for some more friendly faces to join us. 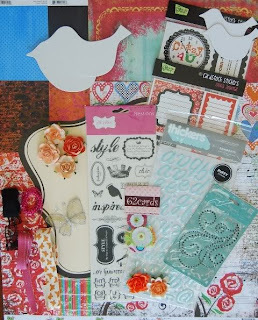 Up for grabs is JuJu Bee's Sept Kit which features Glitz Design 'Olivia'. This is such a wonderful kit, so vibrant and full of life! All you have to do to be in the drawing to win is tell JuJu Bee's what makes your Holiday Season Very Merry? Do you and your family have special traditions that you celebrate? Seeing relatives that you rarely see? Just being with those that you love? Or maybe it's just the lights...the pretty pretty lights! We just want to know what makes this time of year Merry for you! Thanks for stopping by today. 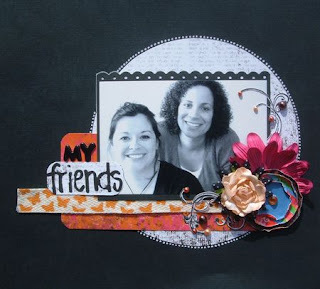 Please head on over to DT Bee Amy's blog for your chance at even more scrappy goodness and to check out what she's been up to! When you complete the Blog hop come back here to let me know what you thought about it! Oh wow! I get to make the first comment! Christmas for me is all about family, the secrets and surprises, the love and joy we all share. My nephew is 2 and a half this year and is just discovering the "magic" of Christmas so I will be enjoying the season through his eyes! first of all, the DT work is beautiful! the Chrsitmas season is such a joy for me... from watching the excitement of my five children to remembering that little baby that made my life possible, this season is full of ways to make me smile and keep me thankful! The very merry part of my Christmas is my kids. I love to see their faces on Christmas morning, its just magical. They get so excited over each holiday tradition, its absolutely contagious! The happiness they have is the best part of my holiday. Thanks for the wonderful ideas, and the opportunity to win a great prize! we take turns each year between my sister's house and mine. This year is my turn for Christmas. It's fun to squeeze everyone in the house, and nobody cares about having to sleep on the floor or a twin size bed...we all just enjoy being together. I love the feeling of magic at x-mas time. I just love x-mas eve and seeing all the presents under the tree! I also enjoy making homemade gifts for my friends and family! Fabulous giveaway! The dt did a wonderful job! Christmas is about family & faith and this is one of the many reasons I love this time of year.. This looks fantastic! Thanks for all your hard work! Fabulous work from the DT! Celebrating the birth of my Lord and Savior!! Having my family together enjoying each other and remembering past Christmas's with dear loved ones. Watching my little guy open his presents and seeing the smile on his face. Just finished the blog hop....lots of great talent from your DT's!!!! Our family always goes to my Mom's on Christmas Eve. It is getting to be a very large crowd. We eat, laugh, reminisce and just plain have fun. The holidays are always a time for us to share good food with family and friends. This is my beautiful baby boy's first Christmas - it's going to be amazing. Wow - what an amazing RAK! We haven't been able to afford to buy a kit yet so this would be awesome. Why am I Merry? Finals are over and winter break has begun!! Spending time with my kiddos, family and friends makes this the most wonderful time of the year! Christmas time is a time for me to reconnect with my kids. I get to play full time mommy for 11 days and It is so awesome. By the time it is over, I remember why I became a mom in the first place. I can't wait!! Hooray for the Sept. Kit what a great prize. Thanks for the hop and letting us all have a chance to play along. This time of year is always the coldest but that is great. Because we can sip hot coco and sit by the fire. Spend time with family baking and sharing memories. Plus, taking a ton of great pictures. Just made my way around. Everyone did such a great job with the kits. Thanks for playing. Christmas is all about family. Our 3 girls and all their cousins, aunts, uncles, grandparents ... it's a mad house but SO much fun! Great giveaway and fabulous projects. I look forward to checking out all the other sites and projects! Christmas for my family is time of celebrating Jesus' birthday. We have a birthday cake for Jesus just like it were one of the family's birthday. Then we all sit around a toasty fire and review my scrapbooks from the previous year. Normally it would be a blessing to review all the memories but for the past couple of years, it has become a tradition. That's part of our Christmas blessing to each other. Julia, you must be very proud of these ladies that represent JuJu Bee's. There's no doubt that they are very talented and inspirational. Thanks for the blog hop! Without it, I wouldn't have learned so much! Just finished the Hop - what great projects! You have a talented group of women designing for you!! What Christmas is all about! Our Lord & Savior Jesus Christ! That is why we celebrate! So, being able to celebrate his birth, it is just amazing. The last minute gifts that you posted are gorgeous!! Great bloghop! Thank you for the inspiration & allowing me to visit! Have a wonderful holiday! My favorite thing about Christmas is the excitement of the children. I love seeing the little eyes light up when they talk of Santa. I love watching my little one on Christmas morning. Great projects from your DT! My children are what makes my Christmas so very merry. I can't wait for Christmas morning when they wake up and are almost jumping out of their skin with excitement. Great ideas! What makes it very merry? I think it is the look in childrens eyes. When they see the lights, or a decoratedd tree. Or Santa. It is the anticipation of giving gifts, and making cookies, having family around. It is the time for lots of great family movies and cartoons on TV, and all the songs that everyone loves to sing. It is the giggles of secrets trying to be kept, and knowing that above all it is celebrated for a reason. Just finished the blog hop! What fun!! I love putting up the Christmas decorations and baking goodies. I just completed the hop. Thanks for the fun and inspiration. I just finished the blog hop, I had so much fun!!! Your DT did a wonderful job with all their projects. I love this time of year...I love putting up the Christmas tree, listening to Christmas music and and seeing all the twinkling lights around the neighborhood. Wow! I love all the beautiful projects! Personally, I love just being with my family! Hugs from Morocco! We travel at Christmas to see both mine and my husband's family, and they both have different family traditions that make it special. But mainly it revolves around the food!! This season makes me very merry when I can spend time with my family and bring big smiles to my kids faces. my son always makes me Merry!!! Merry Christmas!!! Christmas is about the food in my family. Every year we get a boatload of crab legs and shrimp and other seafood, and dig in all night! yum! food and family make my holiday very merry! 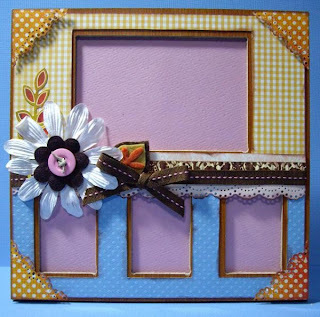 -- love those ideas, especially the frame and piggy bank! Christmas is full of a lot of food family and friends... We have so much to share with one another aside from gifts. This is a time that we get to visit with family from out of town. We eat way too much, talk, laugh and make even more memories from year to year.